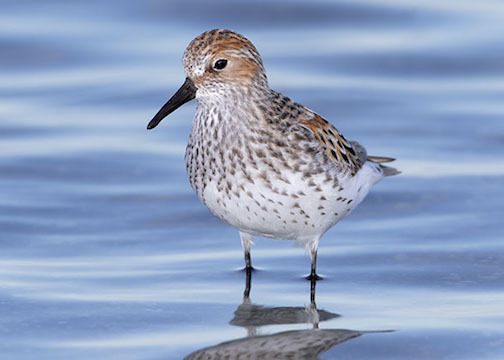 Like most 'peeps,' western sandpipers alternate between a fairly drab winter plumage and a much brighter breeding plumage. 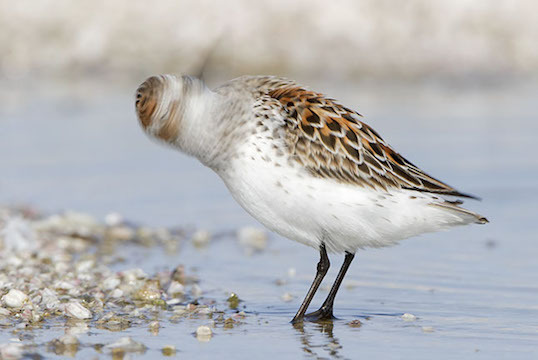 These birds are in various stages of molt from winter into breeding plumage. 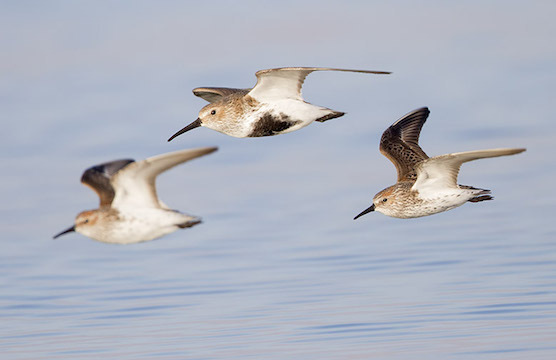 They were photographed in April at the Salton Sea in southeastern California. 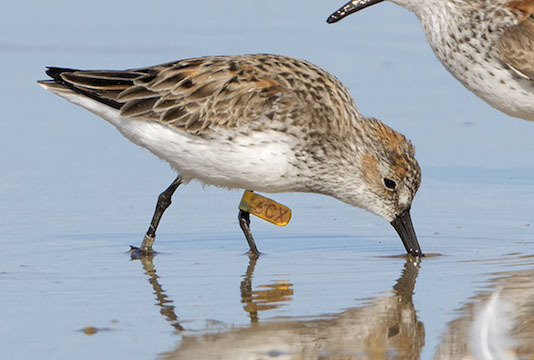 The color-flagged bird at the bottom of the page (#6CX) was captured in Paracas, Peru in 2013, seen there again in 2014 and 2015, and I photographed it in April 2016. 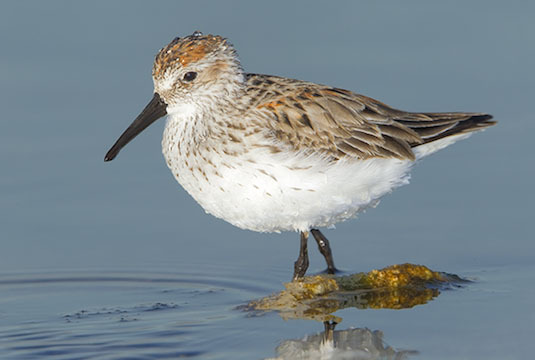 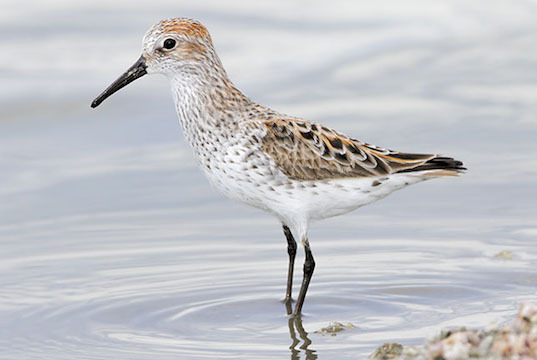 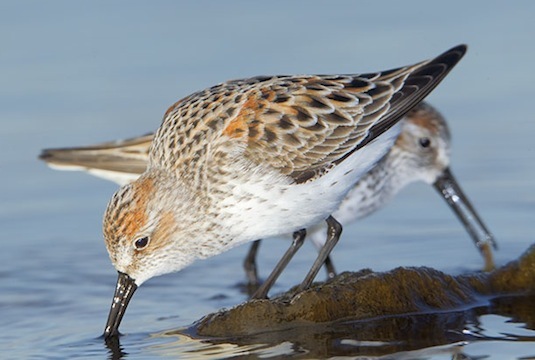 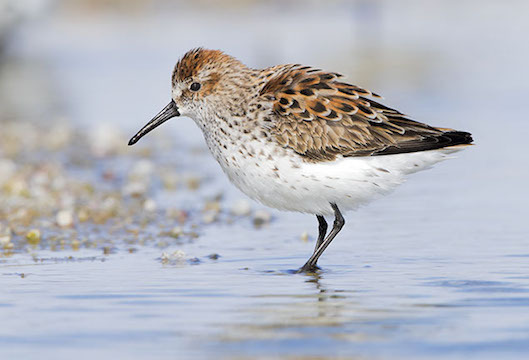 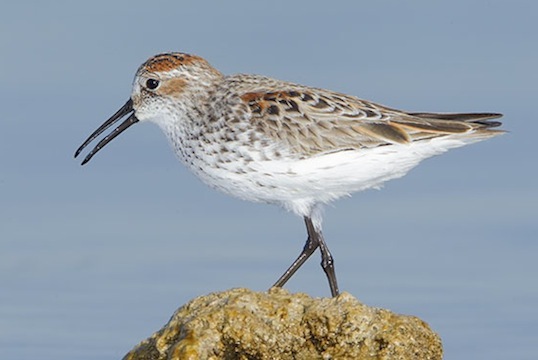 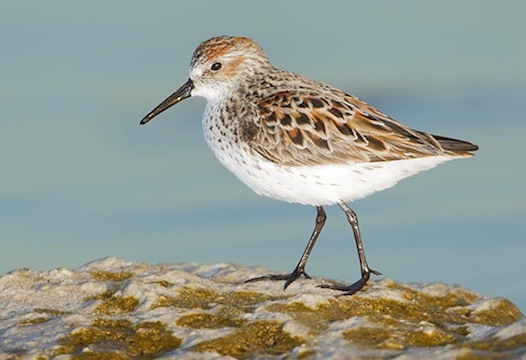 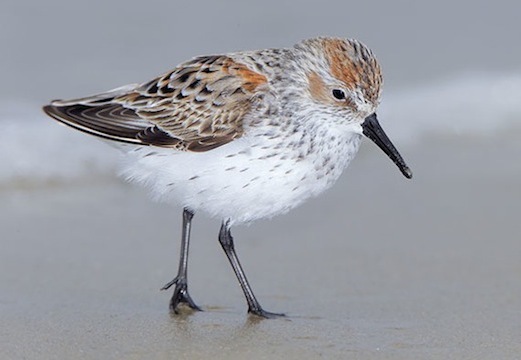 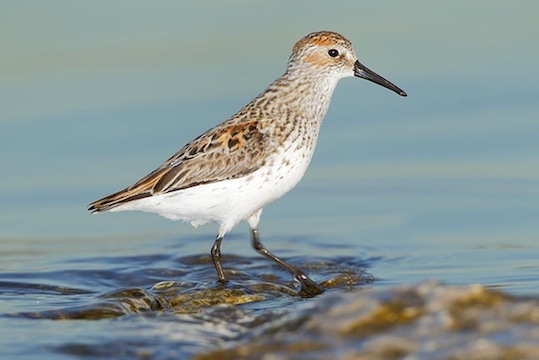 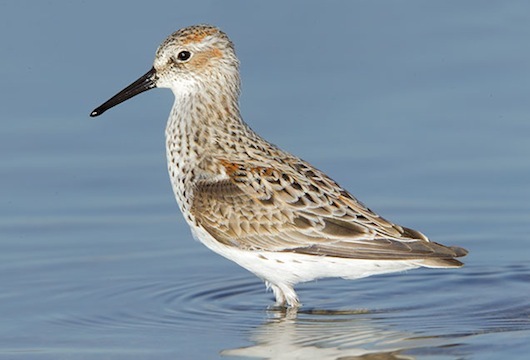 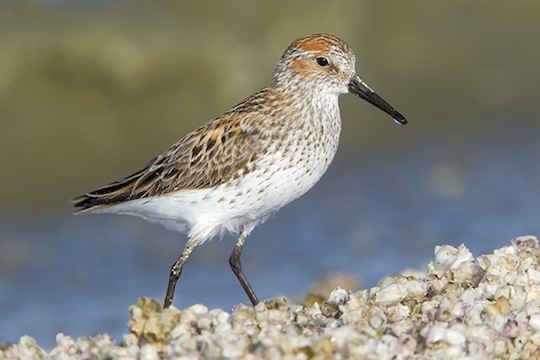 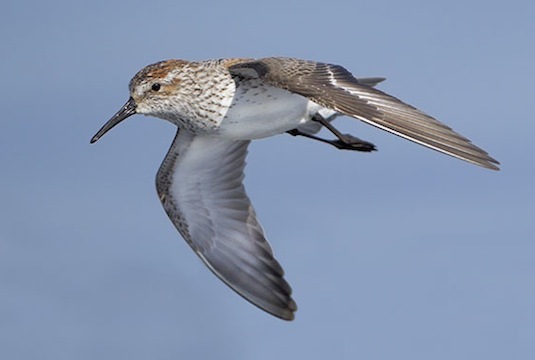 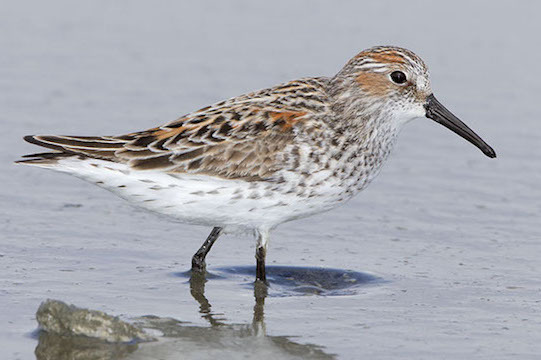 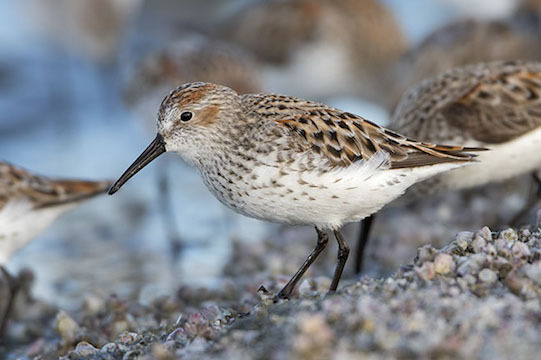 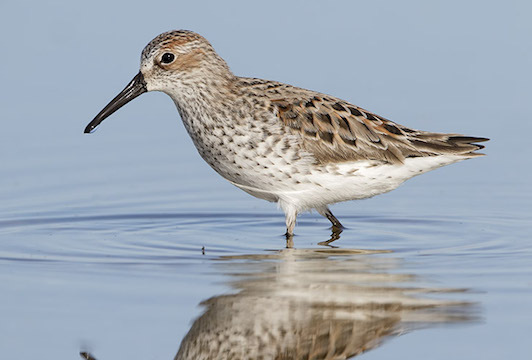 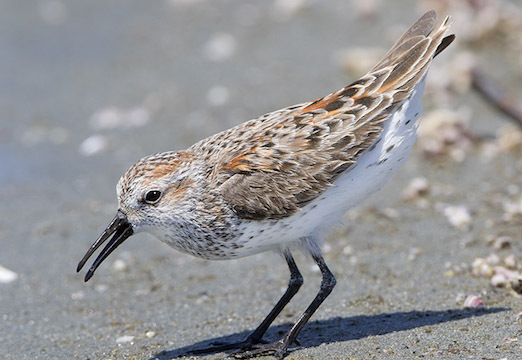 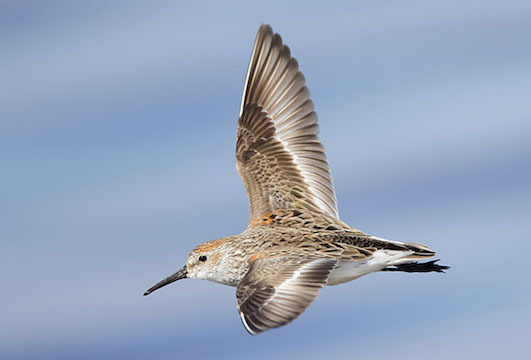 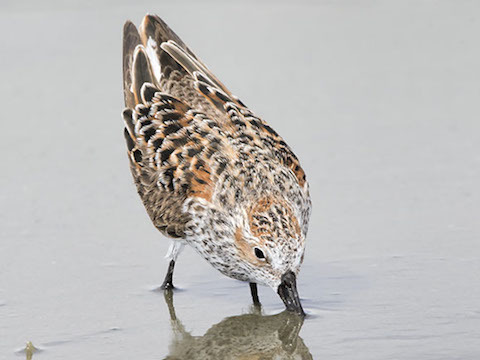 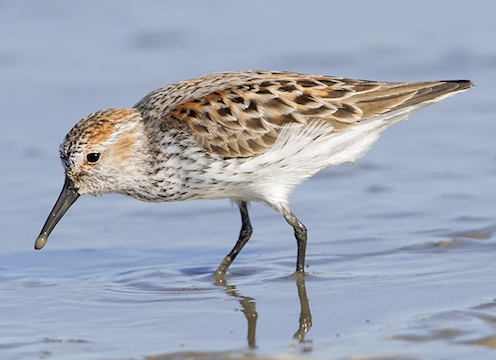 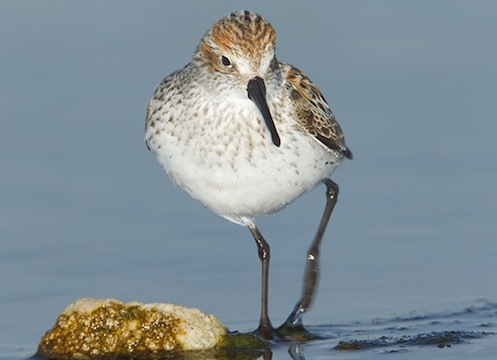 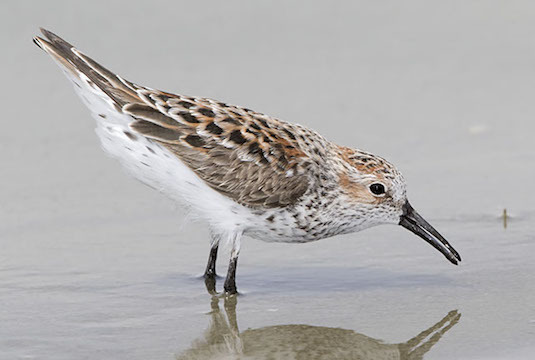 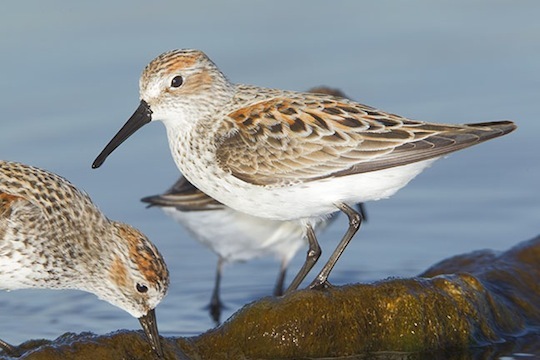 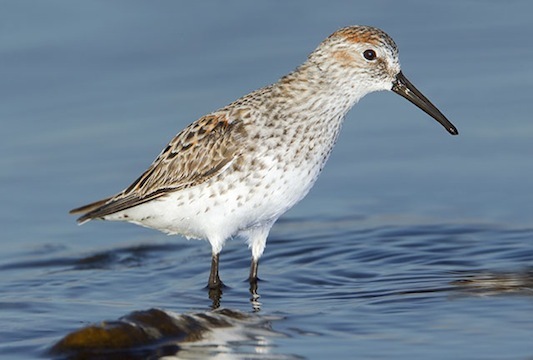 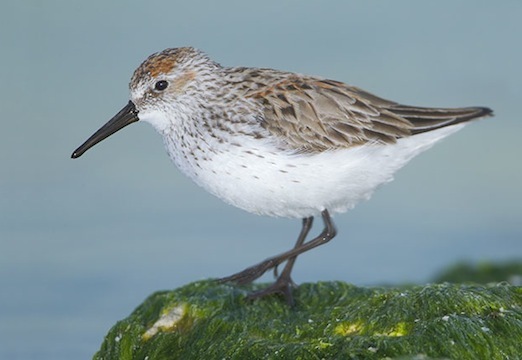 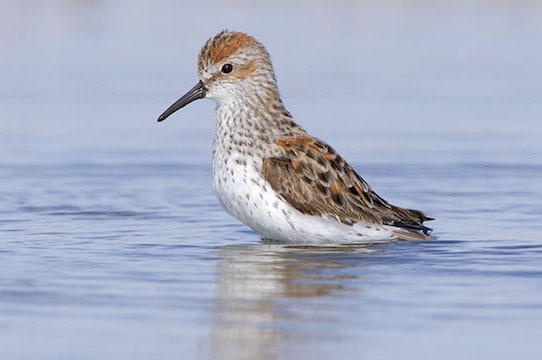 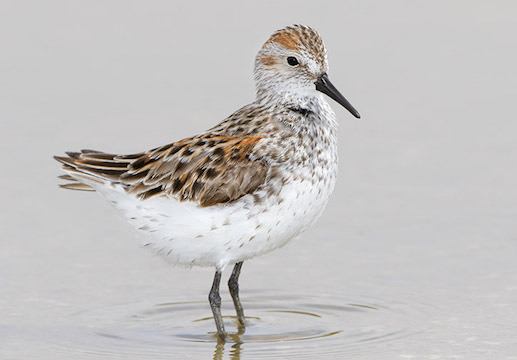 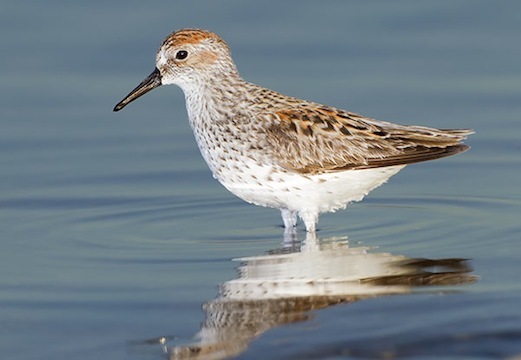 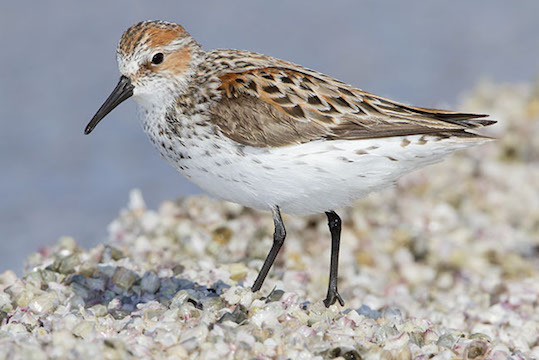 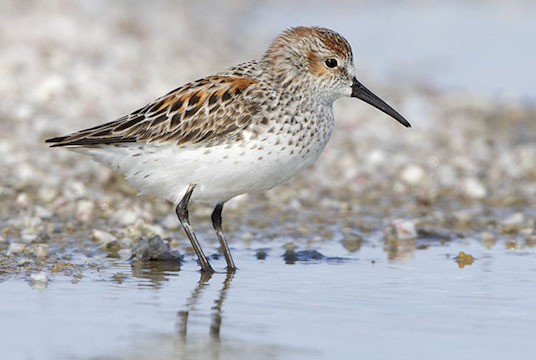 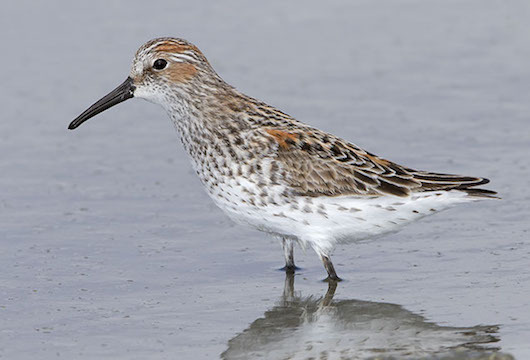 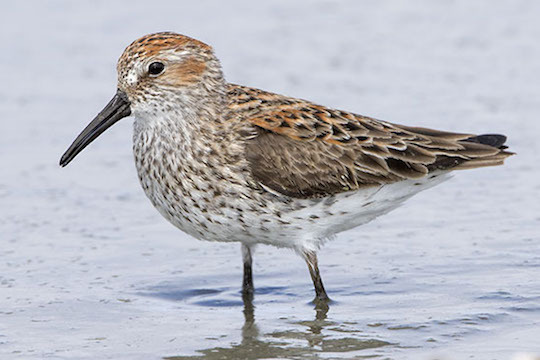 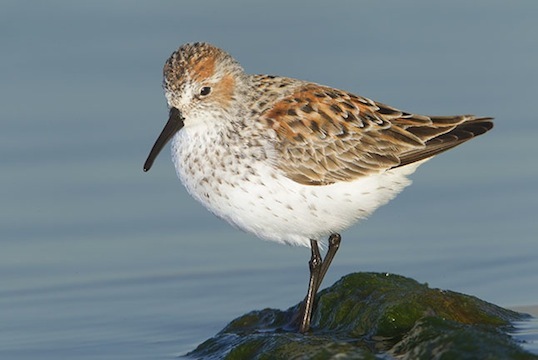 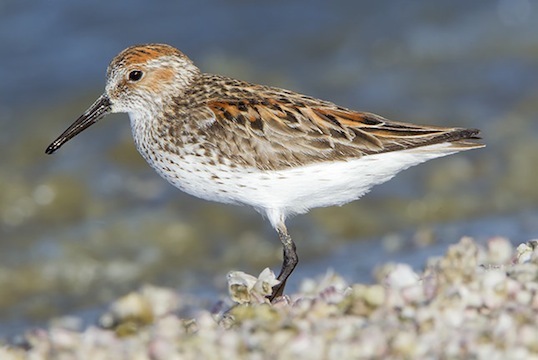 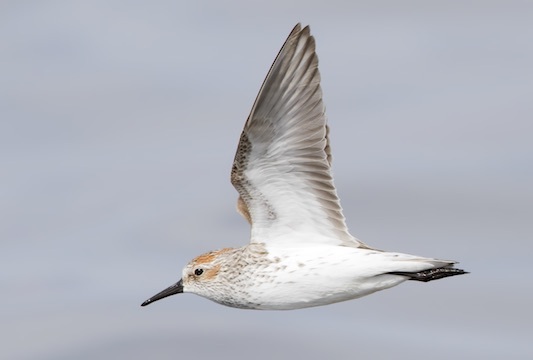 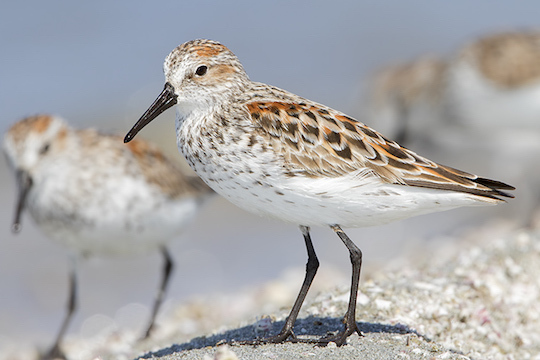 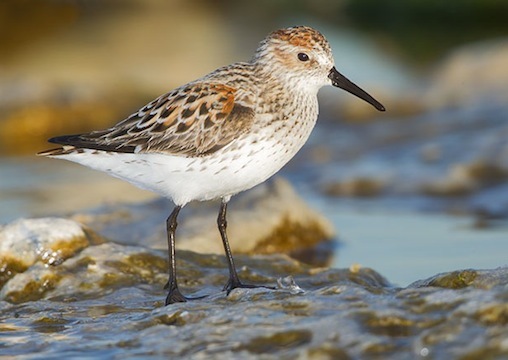 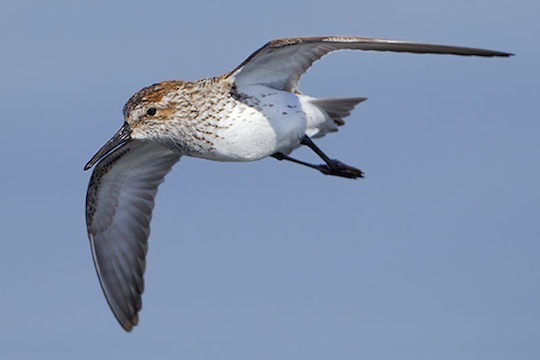 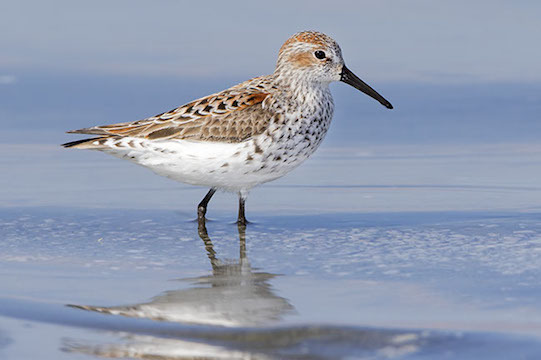 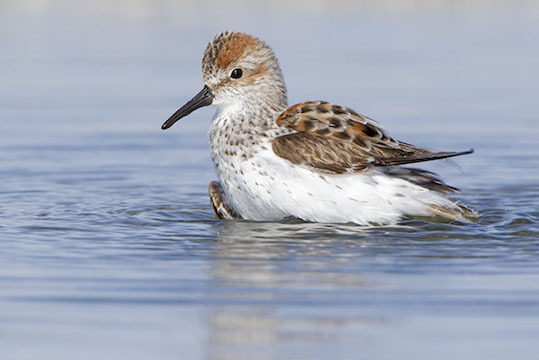 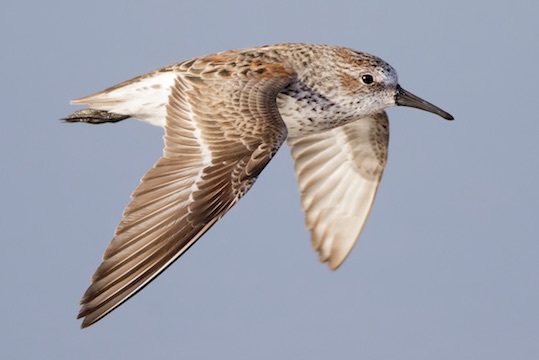 Other images of western sandpipers are on this page; pictures of roosting flocks are here, juvenile birds are here.